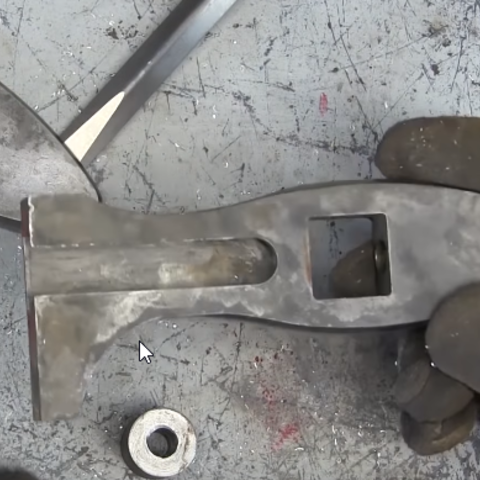 Everyones favorite Canadian AvE posted a video about a wrench made by Hand Tool Rescue. 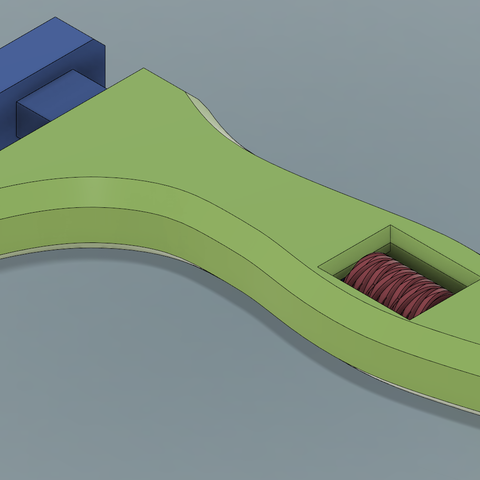 I really liked the design and thought it would work great as a 3d printed design for a kind of wrench clamp combo that wouldn't suffer the issues that 3D Printed Crescent Wrenches face. 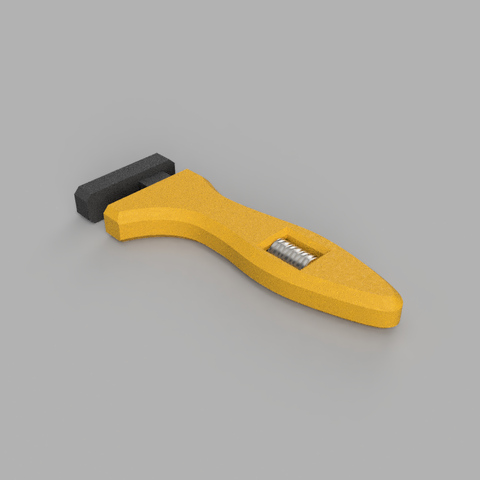 My design definitely isn't as Skookum as the metal one made by Hand Tool Rescue but I have to say its far stronger than you would expect, especially considering I didn't go too gun hoe on the print settings. This model was made entirely in Fusion 360. 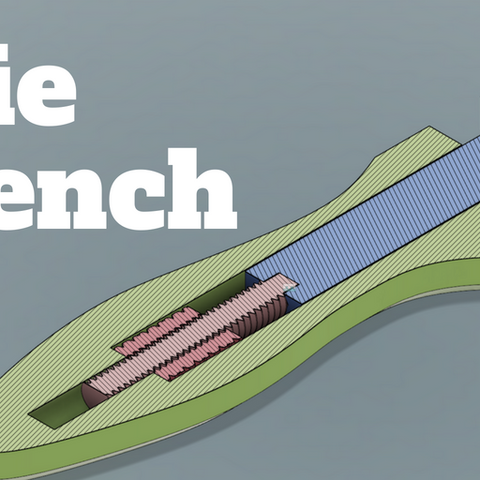 I began with a screencap of the AvE video to get the general outline so it fits nicely in the hand, but everything else is my own design and ideation. The main difference is that mine doesn't have the same pretty slide mechanism where you can see the shaft of the Head go all the way in. 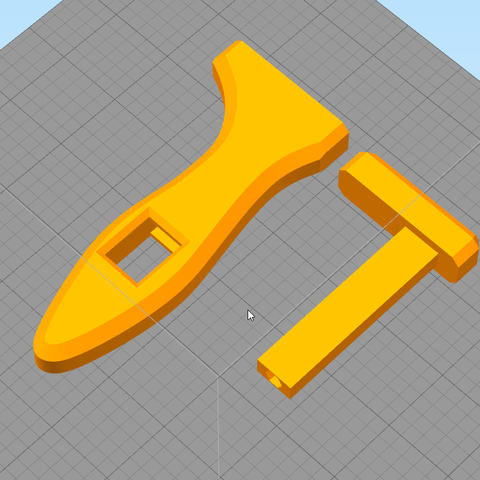 This just gives up too much strength and adds complexity to the print so I just enclosed it. 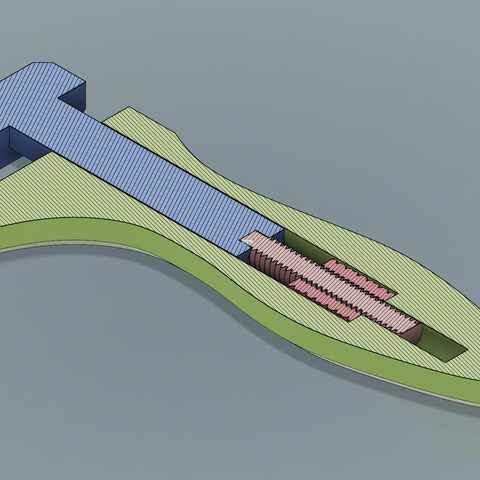 The hardest part about designing this model was making a functional thread. 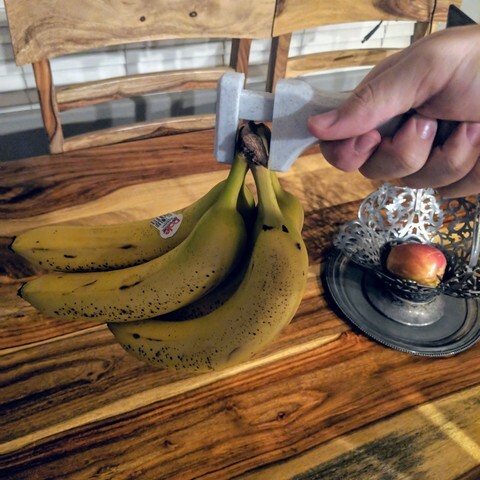 Usually when printing threads you go as large as you can, but in this model, that is not really an option due to the fact that it needs to fit in your hand, and be spun with your thumb. In the end, I'm really happy with how it turned out. This model comes in 4 different .stl files. The hardest part about this print is that the thread.stl and nut.stl need a smaller layer height (I would keep these layer heights the same to ensure the threads mesh correctly) and I would recommend a high infill density since these small parts can go under a large amount of force. 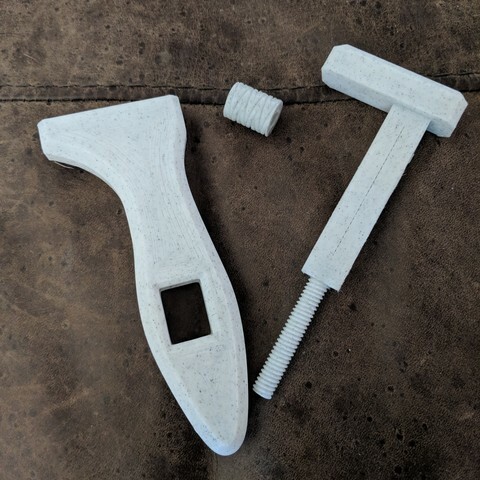 The other two files print pretty easily and should be fine with 30% to 50% infill but mileage varies with filaments and how heavy you plan to use this tool. Assembly of the parts is easy but does require some super glue or a similar libation. The thread.stl has a hex on one end that should fit nice and snug into a hex on the head.stl. 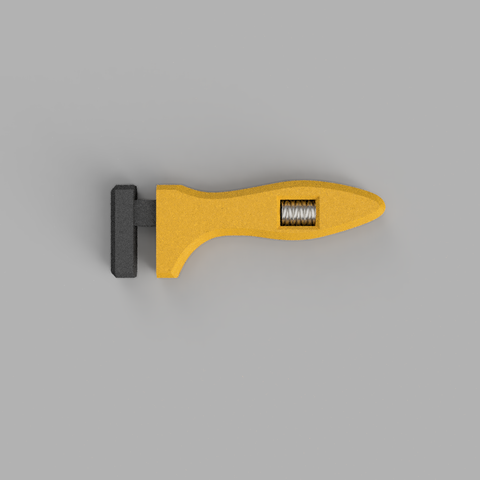 An important step that I would recommend is before gluing I put the thread into the end of my drill and held the nut with a pair of pliers and just slowly worked the thread through. You might have to go back and forth a few times if you have any especially rough parts but this makes it work much better once it has been assembled. I also dripped a little lubricating oil on my threads, this helped make it a bit smoother, but it definitely is not required. Should you run into issues with your supports, it may also be smart to do some sanding on the head before putting it into the handle. It should slide right in without any resistance. If its hard to push in its going to be much harder to pull out! 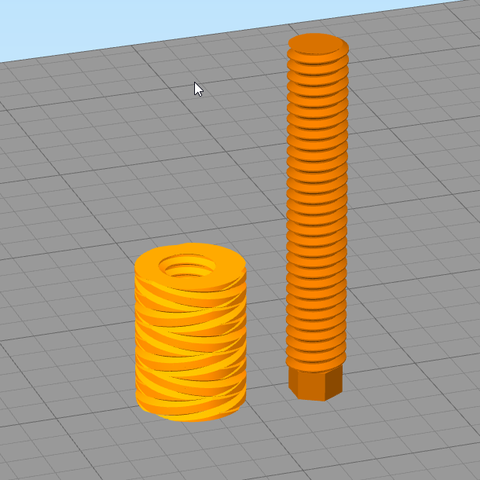 Supports: No, if your really worried you could put some on the inside, but its a small bridge and the supports would be a pain to remove so I wouldn't bother. External Fill Pattern: I liked the look of concentric but it shouldn't matter. 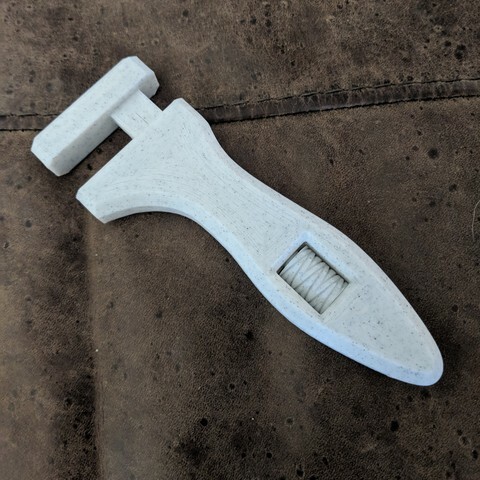 Supports: I printed it on its side so the entire shaft that goes into the handle needs supports under it. Make sure to print this with the hex side down on the print bed, this ensures that you get some really nice threads. Make sure to print this with the flat side down on the print bed, this ensures that you get some really nice threads.